When a gunman attacked a casino in Manila last June, ISIS claimed credit. But Philippine police said the attacker was in debt, had a gambling problem, and had recently been laid off. The terror group had nothing to do with it. Another questionable claim of responsibility came on Monday. Multiple ISIS communication channels asserted that a "soldier of the Islamic State" carried out the massacre in Las Vegas, but the terror group provided no evidence to support the claim, and analysts immediately heaped doubt on it. The FBI said it has found "no connection with an international terrorist group." Police believe the gunman acted alone. So is the tenuous claim of responsibility newsworthy? Some news outlets, including CNN, refrained from reporting on it, but other outlets brought up the ISIS claim repeatedly on Monday. The Associated Press, the omnipresent wire service that provides news to thousands of newsrooms, even sent out a news alert about the ISIS message. The AP came under scrutiny for doing so, and a spokeswoman for the wire service defended the decision. The overall coverage touched off a debate in media circles: Should news outlets report on unverified claims from a terror group? Many people said no -- noting that there's a history of ISIS falsely claiming credit for acts of violence. Reporting a claim like the one made on Monday can stoke fear and cause confusion. Journalists may simply giving ISIS the publicity it seeks and making the group seem more powerful than it really is. "ISIS, desperate for attention, will claim just about anything these days, knowing their supporters won't believe government/media," CNN terrorism analyst Paul Cruickshank tweeted Monday. Others said yes -- the claim of responsibility should be reported, with caveats. The AP said that both its news alert and its story "cast doubt on the Islamic State group's claim by pointing out that there was no evidence to support it, and that IS often makes claims about acts of individuals with no known links to the group." Furthermore, the AP said, "the story includes some false claims by the Islamic State group in the past," like the Manila case. The Twitter version of the alert, which was widely shared on Monday morning, turned on three words: "Without providing evidence." "BREAKING: Without providing evidence, Islamic State claims Las Vegas attack, says shooter converted to Islam months ago," the tweet said. Christopher Ingraham, a data reporter at the Washington Post, reacted the same way many others did: "If they're not providing evidence why are you reporting it?" he tweeted. "All you're doing is pouring gasoline on the conspiracy fire." Fox News also reported the ISIS claim throughout the day. At times some of Fox's reporters went way out on the proverbial limb. Shortly before President Trump addressed the nation about the attack, chief White House correspondent John Roberts repeatedly raised the possibility of an ISIS connection. "If these new reports bear fruit that ISIS is claiming responsibility for this, allegations that this man converted to Islam months ago, that could dramatically change the tone of what the president is about to say," Roberts said, teeing up something that didn't actually happen. Fox anchor Maria Bartiromo, meanwhile, relayed the ISIS claims via Twitter without any skepticism. Two hours later, she added, "Still no evidence this was ISIS. Claims appear unlikely." Media ethicists like Kelly McBride, of the Poynter Institute, said journalists should avoid spreading ISIS propaganda, but acknowledged that it's a delicate situation. "Once ISIS claims responsibility, crappy news outlets will report it," she said. "So keeping it out of the news is tough. It's best to tell people that there is a lot of bad information out there, and ISIS is trying to capitalize on that." 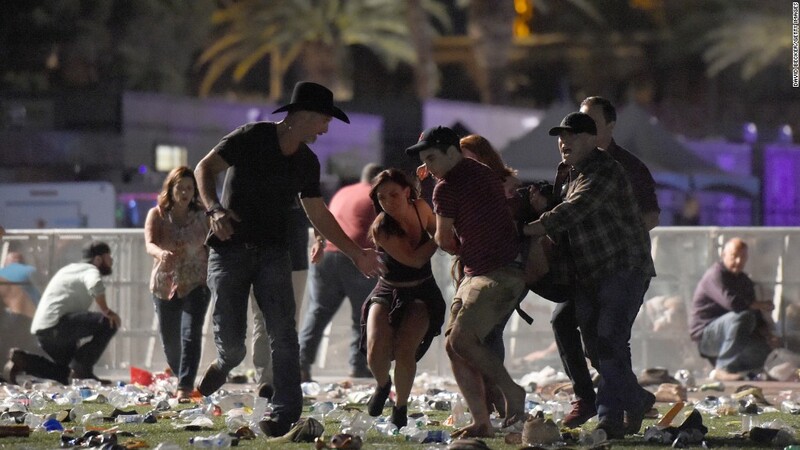 Andrew Seaman, ethics committee chairman of the Society of Professional Journalists, said the public needs "credible and relevant information" in the aftermath of a massacre, and "passing along claims of responsibility from people or groups looking for attention does not meet that standard." "What I think we should expect from journalists and news organizations in these situations is what is known, what is not known and what is known to be false or misinformation. They should also shun any type of speculation, which usually turns out to be wrong and hurts future credibility," Seaman said. But "this doesn't mean news organizations should never report those claims," he added. "If there is enough context and credibility to the claim, it might be possible to explore that avenue of reporting." By Monday evening, there was still no evidence of an ISIS connection. Dozens of news sites had published stories about it -- some more responsibly than others. The New York Post passed along the claim without any indication in the headline that it might be a propagandistic attempt to get attention. The headline: "ISIS claims responsibility for Las Vegas massacre." CBS News wrote about it much more skeptically: "ISIS claims Las Vegas shooting, offers no proof." Vox's Zack Beauchamp argued in a column that ISIS was exploiting an obvious weakness of the press. "It knows that a number of news outlets will report the claim as if it were credible and that those reports, when amplified by social media, would cause many people to believe they were true," Beauchamp wrote. "In essence, ISIS is trying to trick thousands of people into believing that it's scarier than it is -- and the Western media is helping them do it."